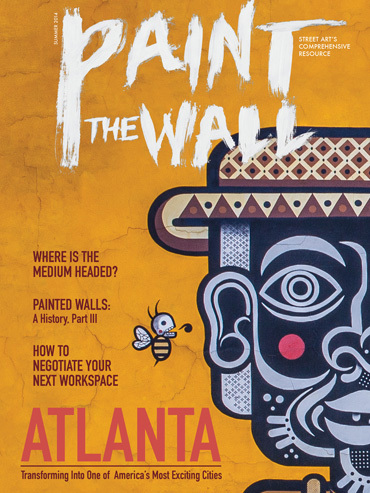 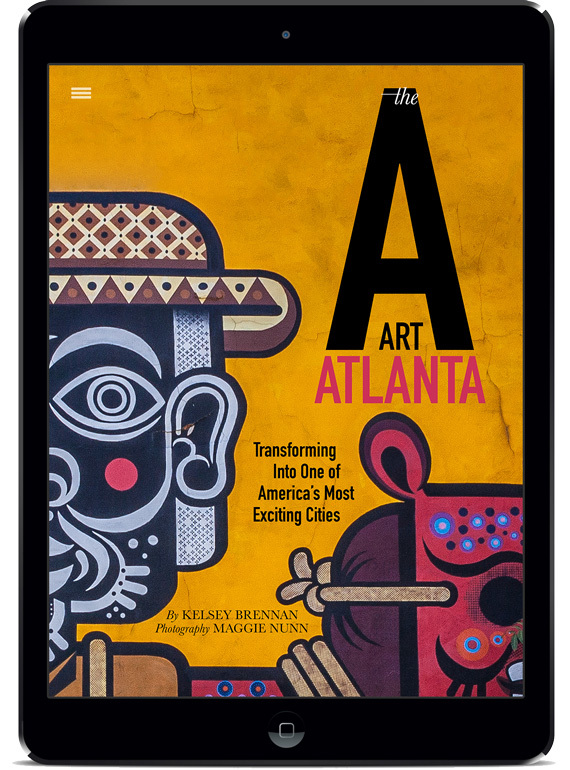 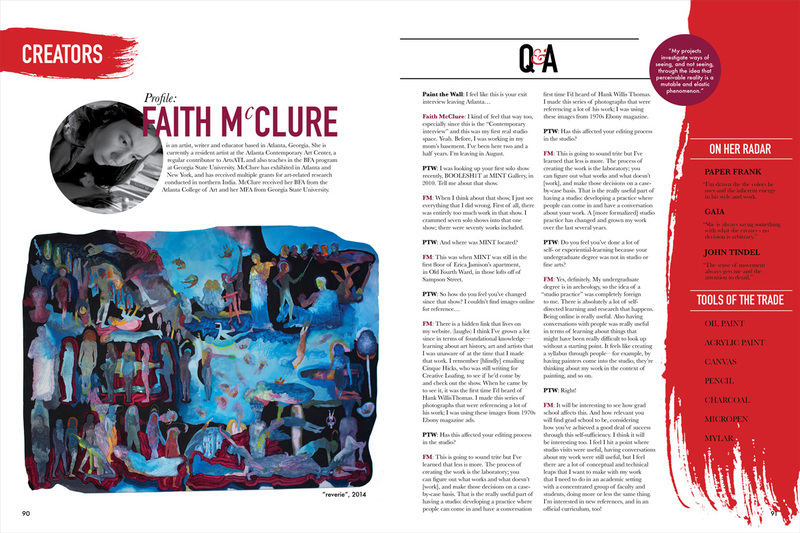 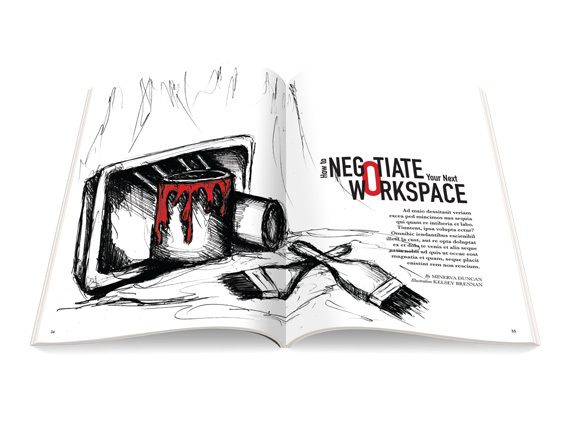 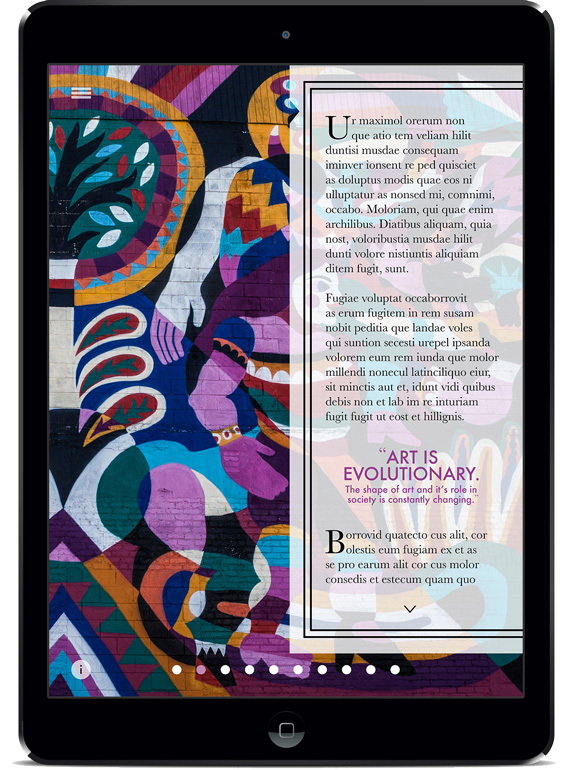 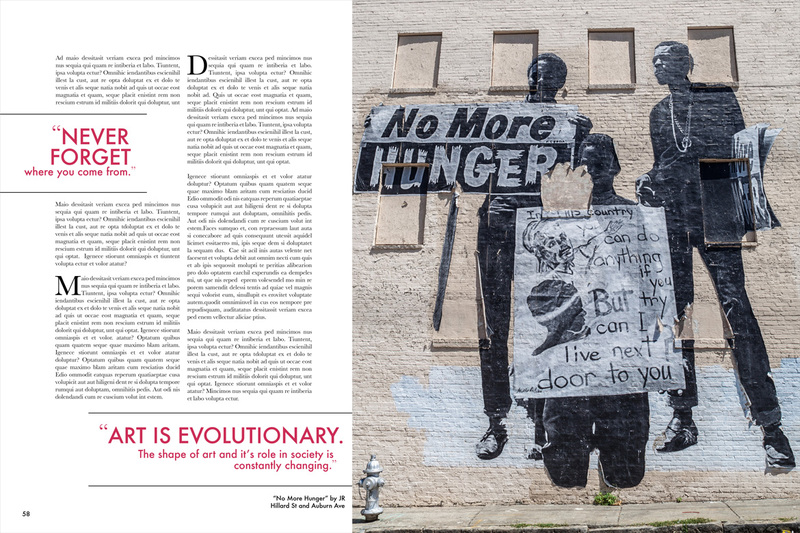 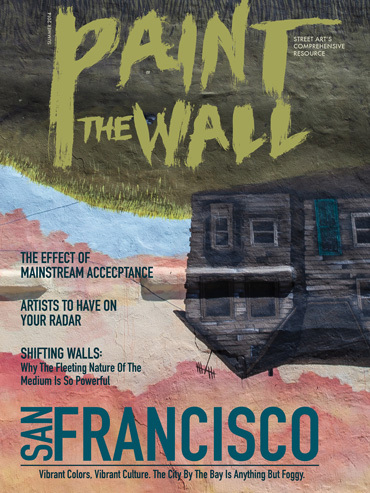 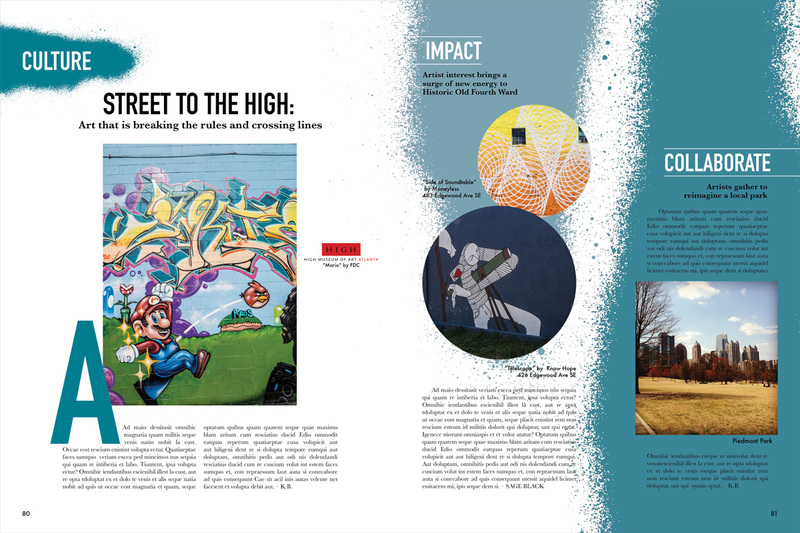 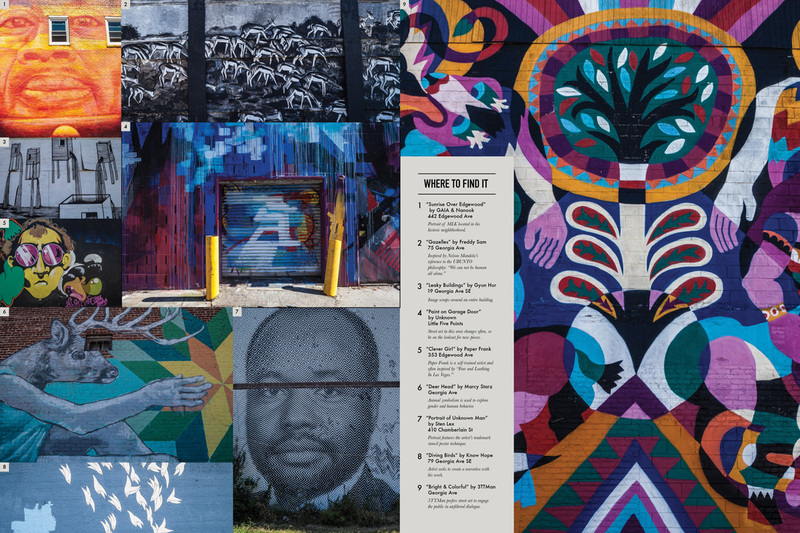 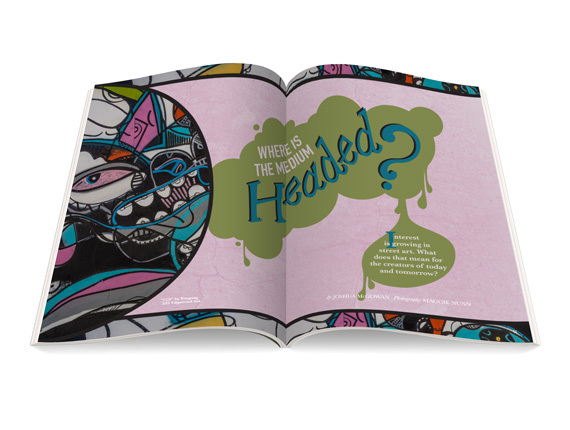 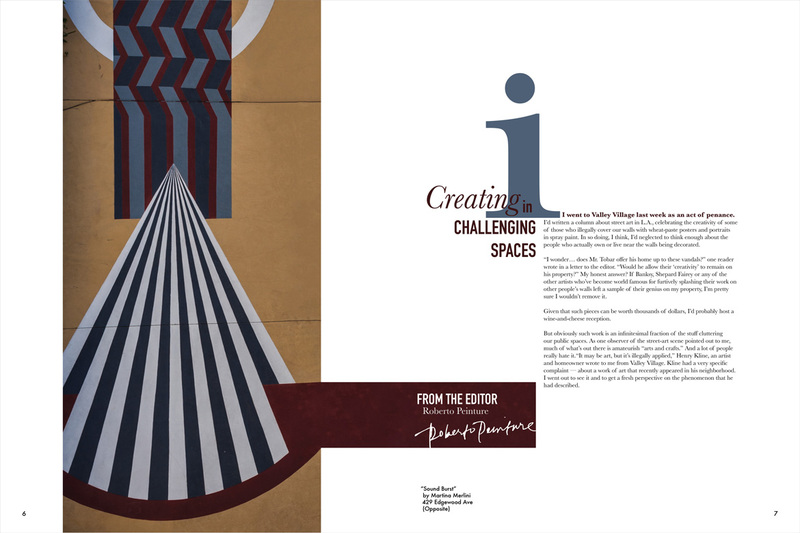 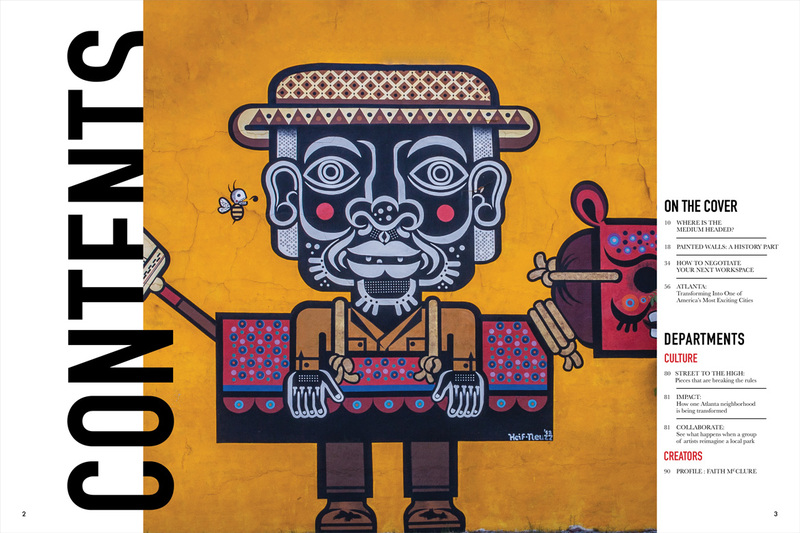 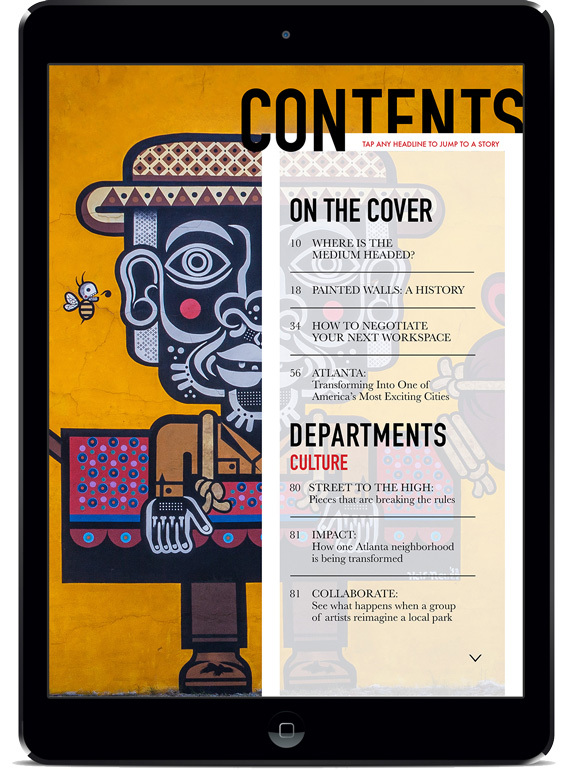 A quarterly street art magazine, exploring a new city in each issue, hopes to elevate the conversation about the medium while appealing to artists and enthusiasts alike. 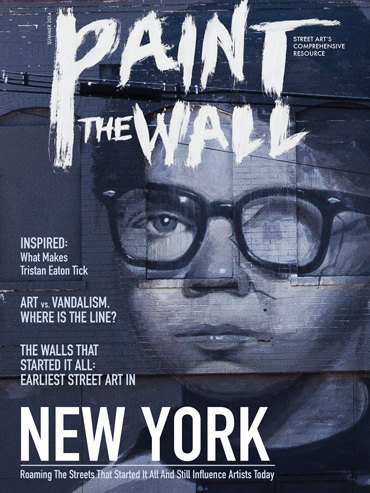 Just as street art often consists of layering work on a single surface, paint the wall approaches imagery and typography with the same attitude. 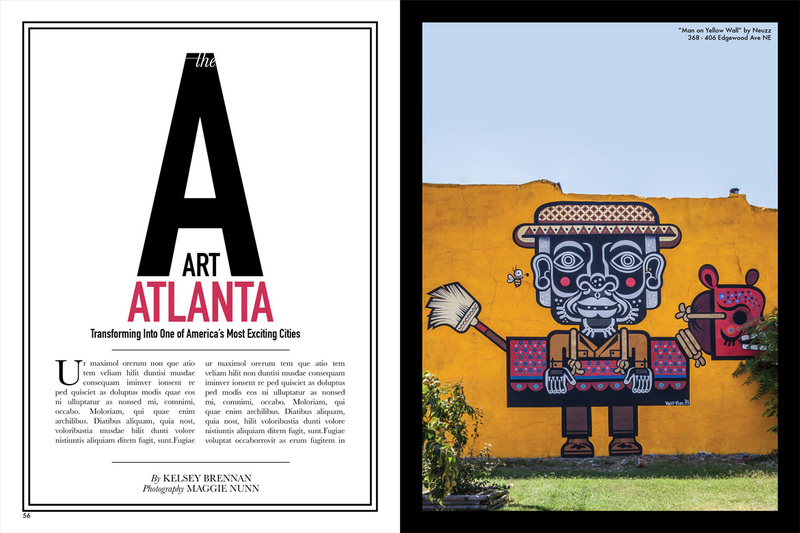 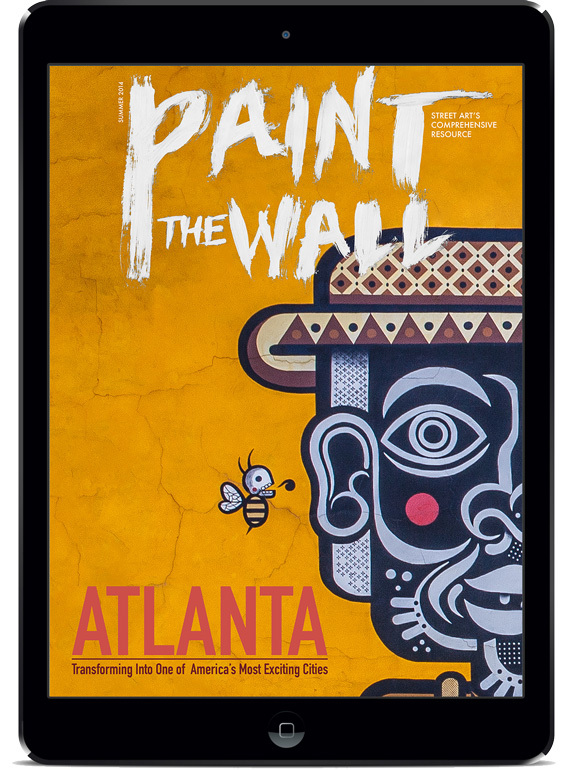 Original photography is of current Atlanta street art.